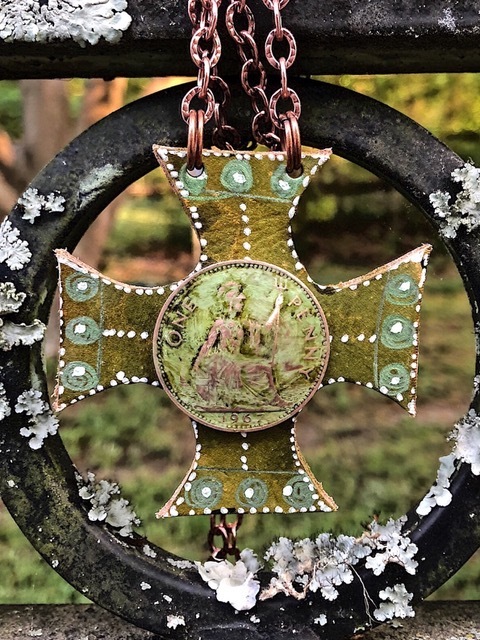 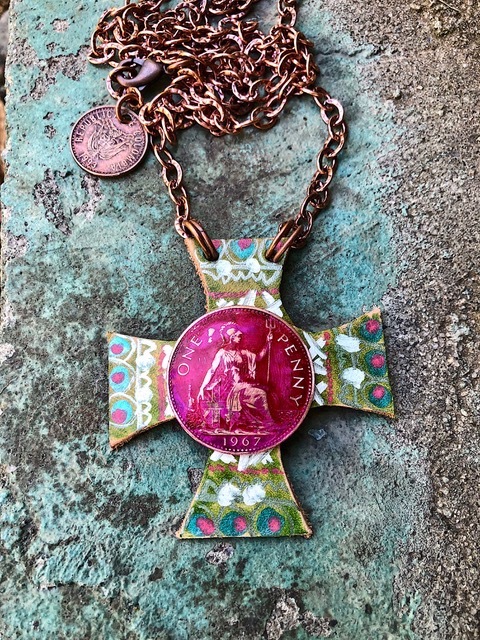 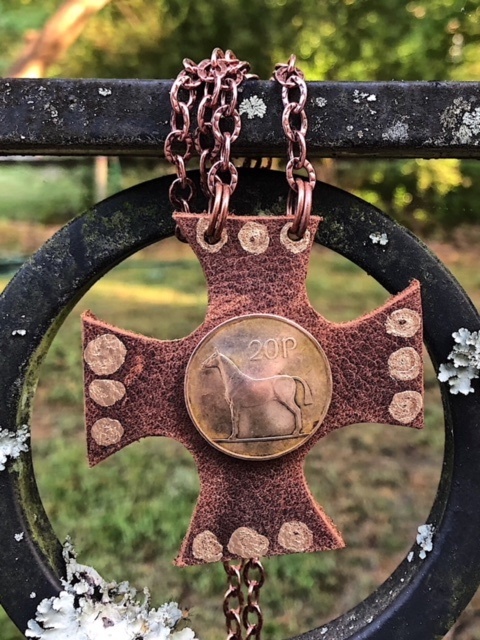 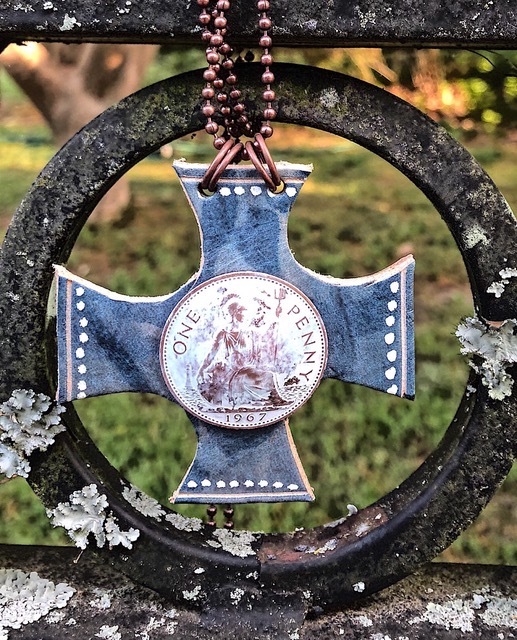 2.5 ” leather cross pendant features vintage British one penny. 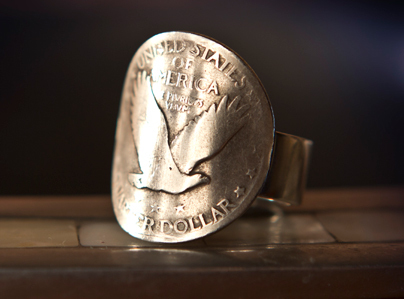 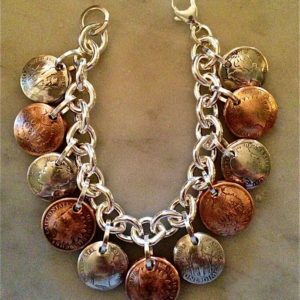 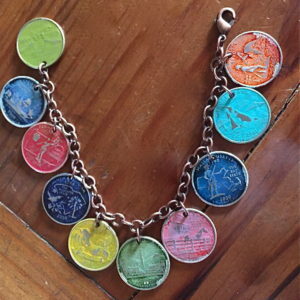 The seated lady warrior on coin symbolizes “peaceful strength”. 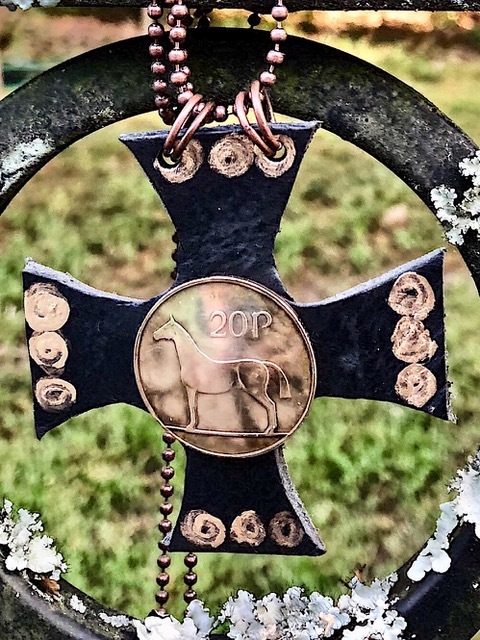 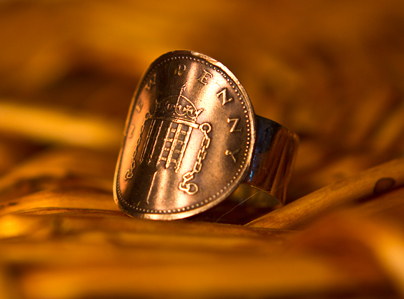 The Black and Vintage Brown crosses feature an Irish Horse 20P coin.